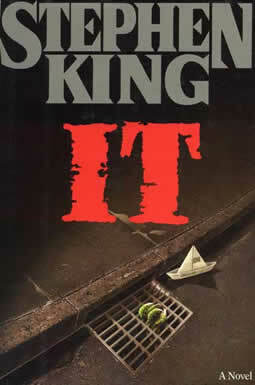 Stephen King believes in writing 1000 words a day, 6 days a week. Hard to argue with the guy who wrote about killer clowns and domes and sold a zillion books There’s also a 750 word/day club. I even suspect there’s a 12 step writing-every-day program. On the other side, people like Paula or Cal Newport argues that such a regime is for full-time writers, only, that we doom ourselves to failure by setting such an artificial deadline. So let me present another POV. Write every day if that motivates you. Personally, I find that such a goal is good enough to keep me going in the short term, but not good enough for a long term project like a novel. For that, I need to be in love with the idea or the characters or a really comfy chair. If writing once a week for a good 5 hour stretch works, that’s ok, too. Or writing a novel in month. Whatever. I think it all comes down to motivation. What makes you want to sit alone in a room, stare at a blank screen and try to knit a story from the cobwebs in your brain? What makes you commit hours and hours and hours to something only your cat or critique group may read? What makes you put aside family, the latest Bachelor episode or a golf game so you can put words on a page? For me, it was a deadline that motivated me to write. A deadline from an open call by one of my favorite publishers. 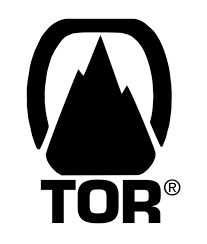 TOR. They were looking for novellas. 30,000-40,000 word length. I had a short story that I loved and thought, hey, why not turn it into a novella? I loved the setting – NY in a slightly altered universe, one where magic is creeping into the world little by little. I loved my character – a creature of the old world, a Fey, who means to misbehave like Malcom Reynolds in Firefly, and uses his magical talents to solve crime. I loved the plot, but I knew I’d have to create a new one for the novella. It didn’t matter that it wasn’t quite what they’re looking for. It didn’t matter that I’d never written a novella. I didn’t even matter that we were out of motivational wine and chocolates. In 10 days, I’ve got 80 pages done. Oh, I know, it could be better, but that’s 80 pages on a brand new story. I was writing again. About 15,000 words worth. Due to commitments, I couldn’t write every day, but if writing every day gets you back to writing, then I’m all for it. I didn’t write one day for 5 hours, but if writing once a week for 5 hours gets you back to writing, then I’m all for it. In the end, whether you’re inspired by a deadline, a daily goal, by a trip you took, an adventure you had or something you just need to get off your chest, writers write. What process to you use for writing? Best show last week – Game of Thrones. Without a doubt, though I hear good things about Outlander. Pages written on new book – 80 pages on the new novella. Best thing last week – Back to writing, again. 80 pages is not bad. Worst thing – Finally over my cold, but it’s left me with diminished hearing. Dammit. I may need to get a hearing aid. I greatly feel this is the beginning of the slow slide that will eventually see me in adult diapers and a hover-walker. For anyone interested in the TOR open call, see this link. This entry was posted in Creativity, Deadlines, Inspiration, Writing and tagged 1000-words-a-day, 5/5/5, cal newport, getting started, inspiration, open submissions, Stephen King, Tor, Tor books, writer's journey, Writers, writing by Joe Cummings. Bookmark the permalink. Ah Joe, Joe, Joe, – you misapprehend! I am not arguing that the ‘write every day’ regime is only for so called ‘full time writers’, I’m absolutely convinced there are as many ‘part time’ writers out there plodding away with writing exercises and daily page counts. Nor do I suggest we doom ourselves to failure by setting such an artificial deadline. Rather, I believe that much like Outliners vs. Pantsters, one feels innately more comfortable as a writer as either a ‘Daily’ or a ‘Binger’. I’d even suggest there is likely a correlation between ‘Outliners’ and dailies; Pantsters; Dailies and Bingers. Whatever camp you are in, this debate ripples across the internet, with declarations of tribe and camp. Next week, I may revisit some of the blogs and forums where this debate rages, so you see the dramatic arguments for yourself. Boice, R. (1987) A Program for Facilitating Scholarly Writing, Higher Education Research and Development, 6:1, 9-20. But the Boice study was primarily focused on scholarly writing. Academic research. Has a proper distinction turly been made. What about the immersive experience of ‘finding your character’, ‘finding your voice’? Can you truly do that in disciplined segments of a half hour or an hour a day? Hmm… I don’t know. But perhaps more research is required. More about the Boice study next week perhaps. I agree with all of this Joe – some things work better than others depending on what your life is like and where your head’s at. But in the end writers write – in whatever rhythm works for them. Still I can’t even begin to fathom what it takes to write fiction. My head just doesn’t work that way even though way back in school I wrote short stories (and I do mean short) that were well received. I think you’re right in that whatever works for you works, whatever form it takes.